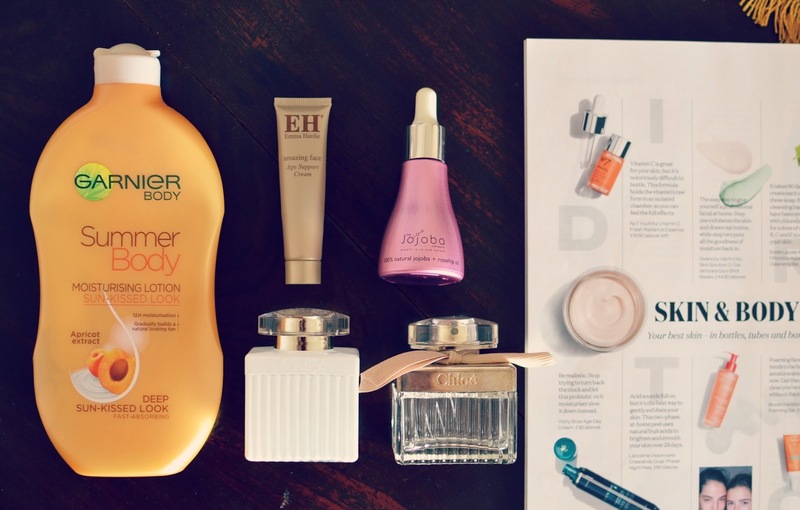 A few of my favourite and longer-lasting products to talk about in this empties post. I didn't really realise quite how many body lotions I had until I stopped buying them and tried to use up what I'd got, and I'm actually pretty much there with them now. So, instead of a lot of half empty bottles and pots, I'm actually getting through the ones I'd tried and then got bored of! This Garnier Summer Body was perfect after Marbella for really helping to extend my tan (the UK weather was never going to do that!) and unlike a fake tan, it's quite hard to get this wrong (unless you forget to wash your hands and then end up with grubby mitts!) The scent of it is really quite pleasant and, as it claims, it's fast absorbing and non-greasy. I have to admit though, I liked this Chloe lotion better simply because it's so perfumed. It made my skin smell amazing, even if I didn't then layer the fragrance over the top. It really sticks on clothing, too - my pajamas always smelled divine whenever I had used this! I don't think I will rebuy this fragrance, however - even though it's lovely, it's so distinctive and I feel it's probably a bit light for me really. I do prefer the more bizarre fragrances and this one is very wearable and mainstream. Lovely all the same though! I was underwhelmed by the Emma Hardie Amazing Face cream, which was disappointing as the moringa cleanser that I got with this product is wonderful. The cream was nice, but I didn't feel it did any more for my skin than other products I use regularly. Likewise, the Jojoba Company rosehip and jojoba oil was also pleasant, and I love a body oil so I thought I'd really enjoy it, and it was ok but not as nourishing (or as beautifully scented) as other oils I've used.